Change. It’s not just a campaign theme anymore. From bailouts to stimulus packages, to talk of cybersecurity and government transparency, change is everywhere in Washington these days. So, who’s leading the charge? For the second straight year, ExecutiveBiz brings you its annual list of Beltway Game Changers. These are agents of change leaving a significant mark on the federal space. Hailing from private and public sectors, as well as independent think tanks, they’re making deals, spotting trends, and helping shape the conversation in areas that will guide federal policy now and well into the future. All of which makes them the top 10 Beltway Game Changers to watch. Now. 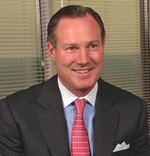 Ed Casey led Serco North America into 2009 on firm ground, thanks, in large part, to an acquisition strategy he helped kick off more than a year ago. At the time, Casey surveyed the marketplace — companies anywhere from $200 million to $2 billion in size — and came up with a short list with the best strategic fit and promise. SI International, a provider of information services, technology, and network solutions to the U.S. government, rose to the top. Since Serco’s acquisition of SI last fall, Serco has gained new ground, in new arenas. Serco now serves every branch of the military, numerous federal civilian agencies, and the intelligence community. Casey remains optimistic, despite the economic downturn. “As reflected in our pipeline, we have already seen interest by several government leaders in our combination of experienced people and proven innovations, as well as our track record around the world in transforming service delivery,” says Casey. The last time we spoke with Paul Cofoni, he’d wrapped up his first year as CEO of CACI. Cofoni is continuing to position the company for growth in key areas: defense, intelligence, and homeland security to defeat global terrorism. He believes CACI has innovative and valuable solutions at “the nexus of intelligence and security,” as he puts it, to help clients defend the United States. Under Cofoni’s leadership, CACI is working to advance strategy and thought leadership in smart power to promote global stability and help clients protect the nation from cyber attacks. CACI is also helping clients find and neutralize improvised explosive devices (IEDs) in combat zones, and was recently awarded a $40 million contract to provide the Army engineering and logistics support to strengthen the survivability rate of military members in combat areas. So far, the results speak for themselves. Recently, FORTUNE ranked CACI one of the world’s “most admired companies” in the world and the “most admired company in Virginia.” CACI is winning its share of awards at the tier-one level and is actively growing its workforce; the company expects to match last year’s recruitment levels. It’s been a little over two years since Vangent got off the ground. Yet in that short amount of time, the information management and strategic business process outsourcing company has seen substantial growth. In fact, Vangent had its best year ever in 2008, winning over a half a billion in new business. 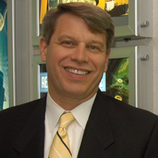 The leadership of Mac Curtis, Vangent’s president and CEO, is a big reason why. After taking the time to brand the new company — it was previously known as Pearson Government Solutions before its purchase by Veritas Capital in early 2007 — Curtis leveraged the company’s extensive health care experience as the largest non-government provider of health information in the U.S. Over the past 18 months, Curtis helped Vangent grow its military health business within DoD to more than $140 million. Vangent has also seen a growing list of customers in ID management solutions, including in its international business and the Department of Education. Despite the challenging economic climate, Vangent’s prospects remain strong. The company’s current new business pipeline stands at over $5 billion. Next in the works? Curtis continues to focus on federal government mission-critical, citizen-centric agencies, particularly those in Vangent’s “sweet spots” — health care and education — where the Obama Administration will focus substantial resources through the American Recovery and Reinvestment Act. Health IT is now a top administration agenda, and Joe Doherty is helping ACS meet the need head-on. As executive vice president and group president of ACS Government Solutions, Doherty’s team works with state and local governments to provide solutions focused on the acceleration of health IT, expansion of SCHIP, and other programs to control costs and improve health. Recent successes include securing a $21 million, 18-month contract to a supply call center, claims processing, and pharmacy benefits management services for Hawaii’s medical assistance programs. 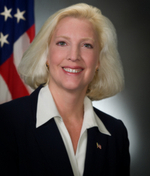 Doherty also oversees three other lines of business: federal solutions, government constituent services, and government administration and operations. Doherty’s call for innovation can be seen in those areas as well. Under Doherty’s watch, ACS’ Government Solutions Group has moved to what it calls a “Smart-3” alignment with customers: Each client benefits from extensive input from an ACS client executive, a veteran program manager and “24×7 reach back” to subject matter experts. “This model has proven to be a welcome and refreshing change for our clients,” says Doherty. His name has become synonymous with cybersecurity. As senior vice president of Booz Allen, Mark Gerencser has been offering a key message on the cyber front: Cybersecurity requires “distributed leadership.” Gerencser drove home the point at a recent event, “Cyber Strategic Inquiry.” Over the course of two days, Gerencser brought together leaders from private industry and government to address the growing cyber threat. The need for a public-private partnership is a theme Gerencser also discusses in the recent book, Megacommunities. In it, he explains how leaders from private industry and the government can form collaborative “Megacommunities” directed toward a united cyber front. Gerencser reiterated that position at the recent AFCEA Solution Series, “Cyberspace: Challenges and Solutions for National Security.” “To me, it’s clear that government, industry, and society have much to gain from forming a cyber ‘megacommunity’,” said Gerencser. Key steps, he added, are to connect stakeholders and share perspectives. Thanks to Gerencscer, that shared perspective is growing, and not a moment too soon. When it comes to cybersecurity, Jim Lewis is one of the leaders of the discussion. A senior fellow at the Center for Strategic and International Studies (CSIS), Lewis recently spoke before the House Homeland Security Subcommittee on Emerging Threats and Cyber Security. He’s also a voice of perspective for both the private and federal sectors as each awaits results of the 60-day cybersecurity review led by Melissa Hathaway. Lewis helped pave the way for the review by leading a group of congressmen and security experts through more than a year of concerted analysis of cyber threats facing the United States. Since then, Lewis has been making the case for a comprehensive national security strategy that, in part, looks to the private sector for solutions. How fast or how many of the recommendations will be implemented is yet to be seen, but this much is certain: In an arena that’s become a “central pillar,” as he calls it, for both the economy and national security, Jim Lewis has more to add to the conversation. When Lawrence Prior was tapped as COO of Science Applications International Corporation in the fall of 2007, he faced the very challenges shared by many in the industry: uncertainty about federal spending patterns. At the time, SAIC Chairman and CEO Ken Dahlberg offered this vote of confidence: “Larry knows how to help SAIC succeed.” Since then, Prior has lived up to expectations and then some. A former Marine Corps intelligence officer with a “team first” approach, Prior came to his role as COO with a deep knowledge of both SAIC’s culture and the federal market. (He had previously served as president of SAIC’s intelligence, security and technology group, and before then, senior vice president for federal business). As COO, Prior has helped SAIC accelerate its growth. Revenue for fiscal year 2008 topped $8 billion — up 11 percent from fiscal year 2007. SAIC also secured seventeen $100 million plus contract wins and completed acquisitions to expand opportunities in energy, infrastructure, and the environment. These days, the economy and growing talk of a federal overhaul continue to fuel uncertainty. But, as before, we’re likely to see Larry Prior steer SAIC toward further growth — utilizing tactics and strategies, we might add, for others in the industry to watch and learn from. The best career advice Tom Shelman ever received was simple: “Work in a career you enjoy and take control of your destiny.” That’s exactly what Shelman has done over the course of his career at Northrop Grumman. As vice president and general manager of the civil systems division of Northrop Grumman’s information systems sector, Shelman has helped guide the company forward in an ever-changing and demanding industry. 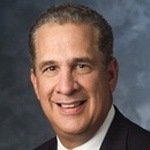 Shelman most recently served as vice president and general manager of Northrop Grumman information technology’s enterprise applications business group and, before that, as president of Northrop Grumman IT’s defense group. It was there that Shelman spearheaded what Northrop came to call “onshoring” — recruiting IT specialists and software engineers in small-town America versus Bangalore or Mumbia. 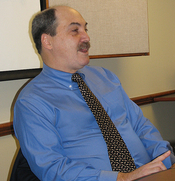 Before then, Shelman was vice president and chief information officer of the corporation. Over a 10-year period he steered the Northrop’s information technology strategy as the company grew from $6 billion to a $30 billion-plus enterprise — all while managing a staff of 2,500 employees. Delivering tangible value comes down to three things, says Shelman: Hire the best people, empower and develop them, and always have honest and open communication.